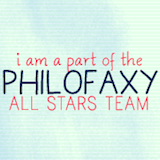 Girl In Maths' latest post in her Spotlight On A Website series focused on Philofaxy. In particular she linked to several posts that either I commented on or wrote as a guest poster before Nan asked me to become a regular contributor to the blog. Wow, there was a whole lot of planner angst going on in my comments! Those were the days before I started this blog, Plannerisms, as a release for my planner angst. Back then, my planner venting took the form of sending detailed emails to my sister going back and forth on which planner I should or shouldn't be using. Seriously, my sister is a saint with extreme patience for putting up with me for so long! She must've wanted to say, "It doesn't MATTER, just choose one!!" But, she never did. She was always very understanding! I read Philofaxy religiously, hoping to find a solution to my Filofax issues. I had been using my personal Buckingham for several years with varying success. Finally I felt like my Filo was too fat and out of control, so for 2005 I used a bound-book A6 size day per page planner. At the beginning of that year I gave birth to my first child, and moved to Russia two months later. Before that point in time, my husband and I had traveled the world together, both of us doing cool things. We both worked in Alaska and Hawaii. We were both Peace Corps volunteers in Nepal. We were both professionals in Washington DC. Then suddenly, I was a new mother, a stay-at-home-mom, in a foreign country where I didn't know anybody. I was all alone with a baby 12 hours per day, while my husband was out doing big diplomatic stuff in Russia. I had a complete identity crisis. A year and a half after my daughter was born, her brother was born. Suddenly I had two kids under two years old, and was out of my mind with sleep deprivation and diaper-changing. Add to all of this the fact that we traveled internationally often. In the 3 years we were in Russia, we made 5 round-trips to the US and back. With babies and toddlers. 30 hours door to door. Anyone who has ever flown with a baby or toddler can image how hellish those journeys were. But at the time it was the only way for the grandparents to see the kids as babies. And, we traveled to Scotland at least once per year for vacation, as a much-needed escape to the countryside and away from the urban grind. So my planner needs were off the charts: coping with two babies and the household while at home, and having all of our international, medical, and contacts information with me when we traveled. You can get a glimpse of my planner insanity in my comments on this Philofaxy post of Nan's. And, my big comment on this post pretty much sums it up. Wow! But despite my comment, everyone who reads this blog knows that my internal struggle has not ended. It continues even now. I do think of my planner as a reflection of my personality. I struggle with finding the right planner for my needs, which change all the time. And, I can assume, my needs will continue to change. I just need to find a planner that can keep up! At the beginning of January I was living in Scotland, I thought indefinitely. My kids were in school and weekly activities, and we traveled occasionally within Scotland. Then two weeks later everything was turned on its head as we discovered we would be moving to Indonesia in just 8 weeks. I felt like the floor had dropped out from under me. Suddenly all of my plans and goals were irrelevant. I felt like throwing all of my planners out. But luckily I didn't because soon the moving preparations geared up, and I needed all the planning power I could get. We arrived here in Indonesia last month, and it's been non-stop adjustment since then. Househunting, getting the kids into school, meeting new people and capturing loads of information. Now I'm finally starting to settle in a little bit, and get back into a routine of school, activities, and housework. Add to that job searching (to start work in August when both kids will be in school). And scheming ways to get back to Scotland. Then if all goes well, we'll be moving back to Scotland again next year! It would be our third international move in three years! I don't know what planner could possibly adapt to all of these circumstances, while still being small enough to fit in my everyday bag. Thank you for mentioning my posts, and I am glad to hear that you enjoyed reading the older post. I did too when searching them out. I hope you are settling in nicely, and starting to look for a job sounds exciting. Any idea what you will be going to do (if you don't mind sharing of course)? And in answer to your question, I would still say a personal size filo... That is what has worked for me for a long time now in different situations. And you have such a beautiful one. I agree with girlinmaths about the personal filofax. I have really enjoyed following your planner journeys and although I have less planner angst I have got a lot of great ideas from reading your blog. You have a very hectic but extremely interesting life and so of course your planner needs will change over time! I really hope that you enjoy Indonesia and time flies quickly so soon you will be back in Scotland. I was exhausted just reading your post of your travels and events! I'm still angsty but hope that the new personal size, day per page format is going to work for me. I love all the great ideas I get from your blog posts, philofaxy and the commenters on there. Love your blog. It is freeing to know that I am not the only one who can't commit to a planner! Although I have settled on a planner (18 months Moleskine) I love following your adventures on planners as well as with your moves and all the bit and pieces that need to happen to make it all worthwhile. I hope all works well for you in Indonesia - until you move back to Scotland that is. I can totally relate to adjusting Filo’s/Planners to ever changing needs, life stages and circumstances. And I’ve been changing planners over the last 18 years, when my oldest child was born and I became a stay at home mum, at least twice yearly! For example: like you I’m now preparing an intercontinental move (as I’ve done every 2 to 3 yrs over the last 16 yrs), with 3 kids and 2 dogs. Things can get quite hectic and early on I feel the need to write everything down to feel somewhat in control. Lists of who to call, what to cancel, to dos and to remember: in comes the A5! After the move, when everyone has settled down and life regains a more normal and predictable course, I tend to switch to a Personal size. When things run really, really smoothly (and I treated myself to that lovely but tiny new handbag), I’ll give Pocket a try. This phase usually doesn’t last very long. I just like the idea of carrying all my important stuff with me in one binder, and Pocket is just too small. Size aside: I’m always on the lookout for that new, elegant, gorgeous, leather binder that represents ME (or who I’d like to be) best! I just have a weakness for beautiful leather binders and handbags. I love the happy energy (or is it a feeling of guilt??) a new binder gives me. It never fails to jump start that particular project that needed to get done ages ago, which I kept procrastinating………. Thanks everyone! I'm glad to know I'm not the only one who feels this way. Nickynic, it's great to hear that you also feel the need to upsize when preparing for a move, then later once you've settled in you can downsize a bit. And I agree, I'd love to have a tiny handbag but I just can't cope without my stuff!! And you are right, there is just something about a new Filofax that gives off so much positive organizational energy!